Cryptocurrency prices jumped on Thursday, led by a surge in bitcoin to two-week highs, with people active in the market citing a squeeze on traders who have bet against prices, given a lack of obvious news to trigger the gains. On the Luxembourg-based Bitstamp exchange BTC=BTSP, bitcoin rose as much as 17 percent at one point in mid-morning European trading. By 1250 GMT, it was up 11 percent at $7,705, its highest level since March 29. Other cryptocurrencies like Ethereum .MVETH and Ripple .MVXRP also rose sharply, gaining more than 10 percent. EOS, another virtual currency, rose more than 30 percent, according to CoinMarketcap.com, which tracks the industry. After rocketing to almost $20,000 in December, bitcoin’s price has fallen this year on the back of worries about a regulatory clampdown and concerns it is a speculative bubble that is now deflating. That has prompted some traders to bet heavily against - to short - bitcoin and other cryptocurrencies. After their prices stabilized in recent days and rose earlier on Thursday, those shorts were squeezed out of their positions, forcing the price upwards. Two people active in the cryptocurrency market said the biggest moves in trading of bitcoin had occurred on the Bitfinex exchange before spreading to other platforms. “People overshorting on Bitfinex so bit of a squeeze there,” said Charles Hayter, founder of cryptocurrency analysis website CryptoCompare. 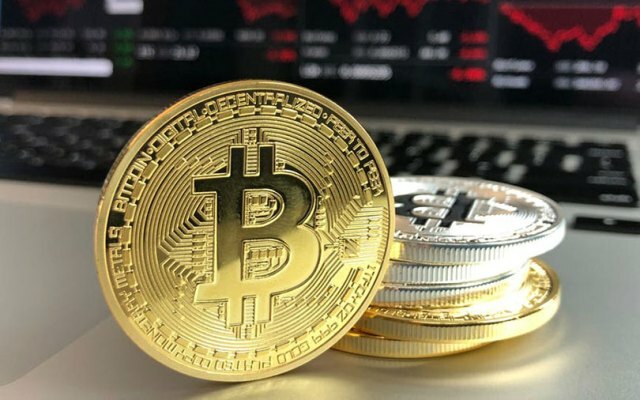 Sentiment towards cryptocurrencies has improved in recent days and prices were consolidating, which can lead the price to suddenly “explode” higher, said Naeem Islam, an analyst at ThinkMarkets who owns and trades virtual currencies. Other analysts said there was no obvious news behind the move, although one cited recent reports prominent billionaire trader George Soros had decided to start trading cryptocurrencies.